Get €5 FREE credit for every successful referral! If you have friends and family living abroad, and you’re an existing customer, just follow the simple steps below to earn your €5 FREE credit with our fantastic Refer a friend programme. Refer your friends and family abroad to Lycamobile today and, once they order and top-up their new FREE SIM cards, you will receive €5 FREE credit. 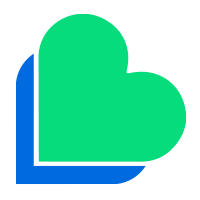 For example, if you know someone in Romania and want to introduce them to Lycamobile, use the steps below and once they join and top-up, we will send €5 to your account. Plus, there’s no restriction on the number of referrals! The more successful referrals you make, the more credit for you. We also offer many more benefits such as FREE minutes to Lycamobile numbers in Italy with each top-up, low-cost pay as you go plans, add-ons and much more! When you click on the "Refer a Friend" tab, choose the country in which your friend lives and then enter your friend's email address. 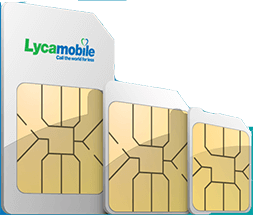 If you’re new to Lycamobile, get your FREE SIM from your nearest retailer. An email invitation will be sent with a link so that your friend can order their FREE SIM directly. Remind them to mention your Lycamobile number on the SIM order page. You will receive 5€ credit directly on to your phone within 24 hours after your friend successfully tops up their account. +39 Forgot Number Please enter the same mobile number for which you are going to buy Top-Up. Forgot Password? To view your Lycamobile number on your mobile screen, dial *132 followed by #.